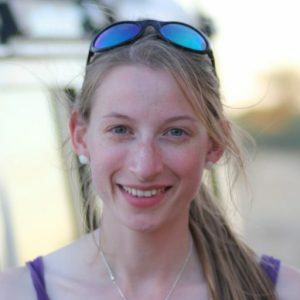 Jessica holds a Geography degree from the University of Exeter and Masters in Environment and Development from King’s College London, but perhaps most importantly has a lifelong love of travel and the outdoors. In between interning for a sustainability charity and Marketing international education programmes, she has carried out fieldwork in Costa Rica, travelled from London to Istanbul (taking the sceneic route via Eastern Europe and the Balkans), explored The Caucasus and helped set up a social enterprise for young conservationists. In her late teens she spent a month in northern Namibia volunteering at a rural school, which sparked an interest in Southern Africa and all it has to offer. It would be a few years later until she re-visited the continent…and this time it would be with four wheels (and a couple of spares) to contend with, undertaking a rather bumpy LandRover expedition across Botswana. This visit to Botswana really ignited her passion for the Southern African bush, and upon returning to London she soon began plotting her return! She is convinced that responsible tourism might just be the key to sustainable development for both communities and the environment. She set up this site with the aim of providing useful tips and resources for those thinking about undertaking their own adventures. Jessica has an interest for sustainable tourism, and is particularly passionate about Southern Africa and all it has to offer. She is currently overlanding across 10 countries in the bottom half of the continent, and creating these resources en-route, to help others plan their own African adventures.